If you’ve been on Indie Muse before you may know that I’m a huge fan of Wilco. For some reason, though, I never really checked out Tweedy’s side project, Loose Fur, until recently. What was I thinking? I don’t know. I had their two albums on my computer forever, but somehow didn’t realize it was Jeff Tweedy’s side project. Anyway, I’ve been listening to their 2006 release, Born Again in the USA, and really like the album. I still can’t believe I didn’t listen to this music earlier. If you are a Wilco fan and are unaware of Loose Fur or never bothered to listen to their albums, get on top of that. Loose Fur is Jeff Tweedy, Glenn Kotche (now drummer in Wilco), and Jim O’Rourke (mixed Yankee Hotel Foxtrot and produced Ghost is Born). Tweedy was invited to perform with a collaborator of his choice for the 2000 Noise Pop Festival in Chicago, and chose O’Rourke. It’s interesting to see what a big influence this side project had on Yankee Hotel Foxtrot. Tweedy didn’t seem to be confident with Wilco’s drummer, Ken Coomer, because Coomer disliked playing consistent drum patterns (note: can someone explain in the comments what that means? ), so Tweedy finally decided to replace him with Kotche for the recording of YHF. The band was skeptical of this replacement at first, but soon realized how talented Kotche was with working with Wilco’s songs and saw it was the right decision. Tweedy also had problems with Jay Bennett’s mixing while recording YHF, and had O’Rourke mix tracks. Some songs were only produced by the three members of Loose Fur. If you want to see a great Wilco documentary (and learn more about all the drama revolving at YHF), check out I Am Trying to Break Your Heart. “Hey Chicken” music video. It’s amazing. And brings up an important discussion question: which Power Ranger was your favorite? I’m red all the way (Jason). Now I feel young. 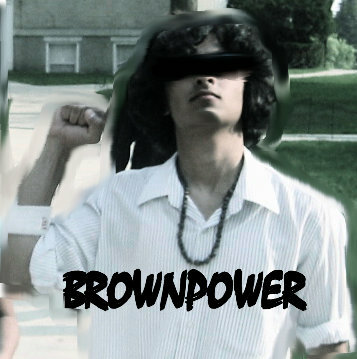 This is going to be a quick post, but I wanted to share this song with you because I know Akhil is way too modest to post it on the site himself. Hopefully, you have had an opportunity to read Akhil’s first posts on the site, and the more he shares, the more you will realize just how knowledgeable and entertaining of a person he is. If you’ve had a chance to check out the About Us page, you may have noticed that Akhil is a musician, and this is a new solo song that he created that I think is pretty neat. If you can, please take a listen and leave comments with your thoughts so Akhil can get some feedback. He didn’t ask me to post the song, but I feel like it deserves just as much attention as any other music we post on the site. I am going to dedicate this song to Akhil, even though it’s his song, because he’s just that good of a guy. Here’s to you Akhil. Hey everyone, just a little news for all of you legally enthusiastic rebels. For everyone who loves the idea of online music but hates the idea of ponying over money to a big corporation… this is for you. Well, technically, this is exactly the same thing–Sub Pop being part of Warner Bros.–but you can feel just a little better from the “corner-store” style shop. They have over TWO-HUNDRED (that’s 200) DRM-free albums available for standard album prices at 192 kbps, and they’re looking to bring that up. They also have a slew of Sub-Pop ep’s. Today I found a great Rogue Wave 10:1 EP with some previously unreleased tracks… awesome! Give it a visit and try to feel the imitation of that good old record store emotion. It’s not the same, but it’s nice to see an indie label with forward thinking. 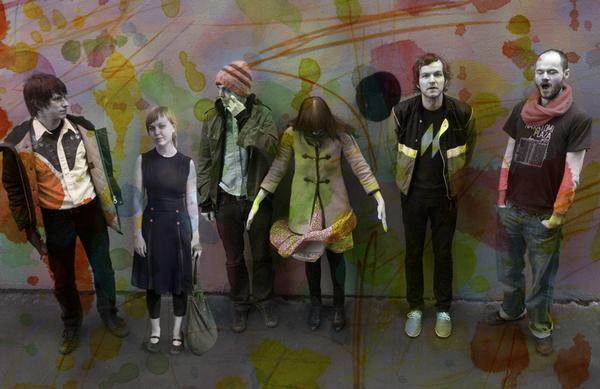 If I had to choose one new Icelandic band to share with you, Seabear would most likely be the winner. Not every song on Seabear’s debut album, The Ghost That Carried Us Away, is earth shattering, but those that are make me weep with joy. The band reminds me of Low combined with a folksier, more low key version of The Boy Least Likely To. “Libraries” is the most upbeat song on the album, and reminds me of Arcade Fire’s better music. The violin graces us with her presence on many of these tracks, and makes the songs “Hospital Bed” and “Arms” absolutely stellar. Seabear is not a very well known band yet, and I suggest you jump on the bandwagon before it takes off. I know I’ve come across a great band when I have an impossible time picking which songs to put on the blog. It’s a good indicator that if you like these samples, you should go and buy the album. Seabear is Sindri Már Sigfússon, Gudbjörg Hlin Gudmundsdóttir (violin, vocals, harmonica), and örn (guitar, & lapsteel). They are from Reykjavik, Iceland and are on the moor music label At first, Sindri was a one man act, but when he was asked to open for The Books in Germany, Gudbjörg and örn helped out, and after having a great time performing live, they decided to, well, stay in the one man band. From my understanding, new members just joined, so there are now seven band mates in all. Seabear still seems to stay true to their core, and only records with one microphone (except while recording the drums), which gives a lo-fi sound. Their use of only one mic may change now that there are seven members, but if not, that would make for a funny SNL skit–watching seven musicians crowd around this one microphone with each one secretly trying to move in closer so they have more presence on the album–that would be classic. If you haven’t seen Wilco live, then it is your duty as a human being to do so. If you have… I hope this brightens your day. Hey everyone. This is my first post… enjoy. To our generation, the Kinks exist as something outside of the realm of a band. Like many of the mainstay names coming from the 60’s and early 70’s, they’re image is mostly a conglomeration of years and albums as opposed to a group of growing people benchmarking themselves with records. Keeping this in mind, I don’t think that people really see the Kinks second major release, Kinda Kinks, as a statement at all.The album, released in 1965, is often regarded as a poor collection of decent songs… in other words, commercial independent singles with some filler. While this is a justified critique, I don’t think it opens us up to look at the true brilliance and birth of Ray Davies songwriting. From hits to fan favorites, the Kinks start at Kinda Kinks. The musical aspect of the band was picking up, surely, but we wouldn’t hear Dave Davies true genius for another year or two. My pick for the song of the day exists as a cover to a Kinks song by the lovely Leslie Feist. One of the more famous tunes they “cranked out” was “Nothin’ in the World Can Stop Me Worrying ‘Bout That Girl.” I like to listen to covers just because the spin can be so sincere even if it’s another persons song. Am I really off base here? Let me know. Check it out. Last Friday, I saw the Band of Horses play at the 9:30 Club, in Washington DC, and can say that it was one of the best shows I have seen in a long, long time. If you have the opportunity to see the Band of Horses live, please, for my sake, go. I just read Patrick Foster’s review of the show in the Washington Post, and he didn’t seem to think BOH’s live performance lived up to their recordings. He said the crowd “probably went home disappointed.” I could not disagree more. Let me know if you think differently, but I personally believe that somebody must have slipped something into Foster’s drink (or that the 1:15 am show was past his bedtime), because their performance, which I assume is similar to all their live performances, was spectacular and those who I spoke with that attended agree. Perhaps, the fact that I was in the front row made a difference, especially because I got to fully appreciate the length of BOH’s front man, Ben Bridwell’s, enormous beard and sweet table steel guitar, but I had a great time and thought their sound was phenomenal. There is one thing that I can agree on with this ”Patrick Foster” guy, if that’s even his real name—Band of Horses new album release, Cease to Begin, is incredible. Rarely will you find an album that has one great song leading into another equally as good, if not better, song. It is also be difficult to find a band that is able to handle the delicate balance between mellow folk/country and indie rock better than the Band of Horses. 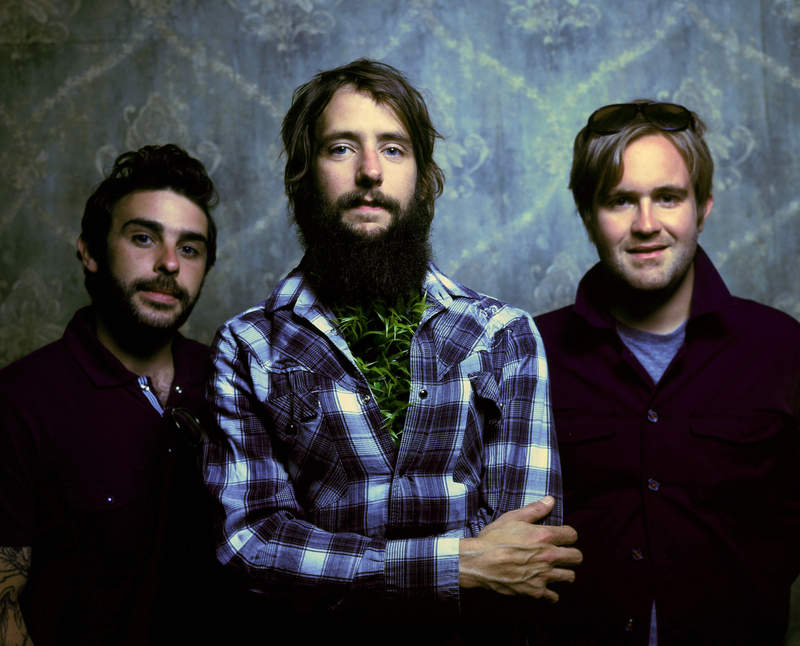 Band of Horses was formed in 2004 by Ben Bridwell and Matt Brookes in Seattle, even though they have now relocated to Mt. Pleasant, South Carolina, closer to where Bridwell grew up. Sub Pop became interested in the band after hearing them open shows for Iron & Wine, in Seattle, and the label has now released two albums of the bands, their new album, Cease to Begin, and their debut album, Everything All The Time. Suggestion: When you buy Cease to Begin, consider purchasing the vinyl version; it is actually a dollar cheaper on Subpop.com than the CD, and the vinyl comes with a coupon code to download the entire album in mp3 format, absolutely free of charge. UPDATE: The soundtrack has been released on Rhino Records, and can be purchased digitally. Click HERE for iTunes link. If you prefer a physical copy of the album, it releases January 8th, and you may pre-order it for $9.99 (or DRM free mp3’s for $8.99) at Amazon.com by clicking HERE. Thank you to those who have commented. I appreciate the positive feedback, and am glad those of you who have seen Juno have enjoyed it! Yesterday, I was fortunate enough to attend a free screening of the movie Juno in Washington DC. It is a quirky movie directed by Jason Reitman (Thank You For Smoking) about a 16 year-old girl who becomes pregnant [preview below]. Although, at times the humor felt a little forced, this was a very enjoyable movie to watch, that I highly recommend you go see when it releases in December. If you are in a big city, it is possible that Fox Searchlight is offering several free screenings before then, so you may want to check that out HERE. The soundtrack for Juno was carefully selected, and played a big part in the movie. Given that you most likely haven’t seen the film yet, it’s not all that important to go into how the music was woven into the film, but I am going to share the soundtrack list plus samples with you, because the music was fantastic. In the official trailer, one of the songs you hear is “Anyone Else But You“ by The Moldy Peaches, and you will hear it several times within the film[listen below]. It almost feels like this movie was written as a picture book for this song, as both are obscure and spark a very similar feeling. If you love this song, you will probably love this movie. If you like this song, you will probably like this movie. If you hate this song, get off this site right now.